With research calling for increasing access to social and emotional learning opportunities for out of school and out of work youth in the U.S., the question is not whether—but how—to equip youth experiencing disconnection with essential life skills, including self-awareness and the ability to manage complex emotions. For Fernando Alves, Founder and President of Rede Cidadã (The Citizen’s Network) in Brazil, holistic approaches that integrate the body, mind, and emotions are critical. 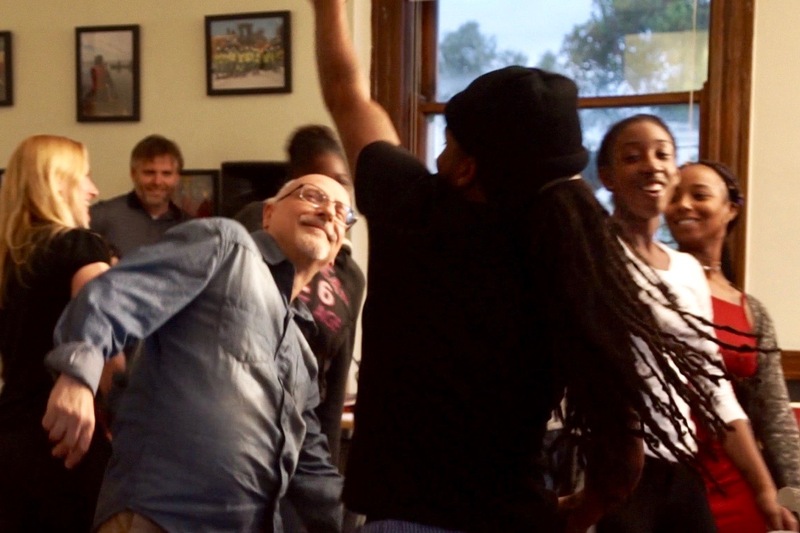 Alves recently shared Rede’s movement-based methodology with young people and staff at the Youth Empowerment Project (YEP) in New Orleans. 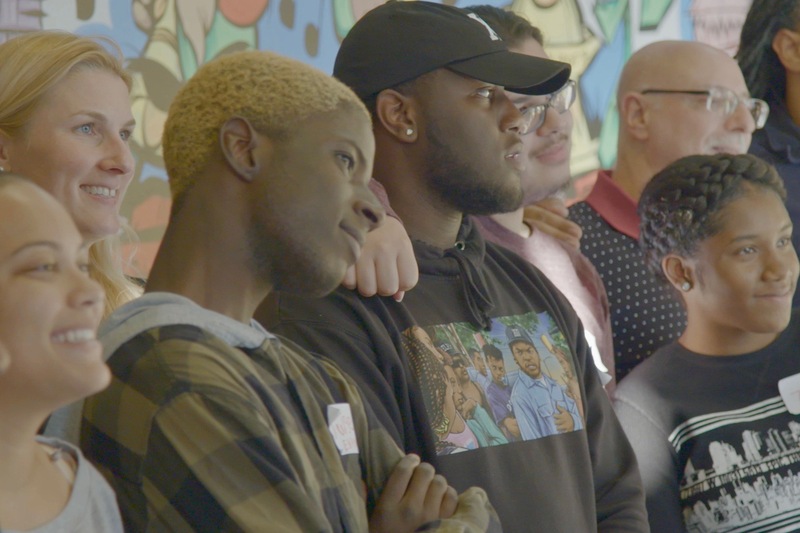 His visit marked the second half of a (Re)Connecting Youth learning exchange that started in July when four YEP senior staff traveled to Belo Horizonte, Brazil. Organized by the International Youth Foundation (IYF), the trip offered the YEP team an up-close look at Rede’s youth employability training. 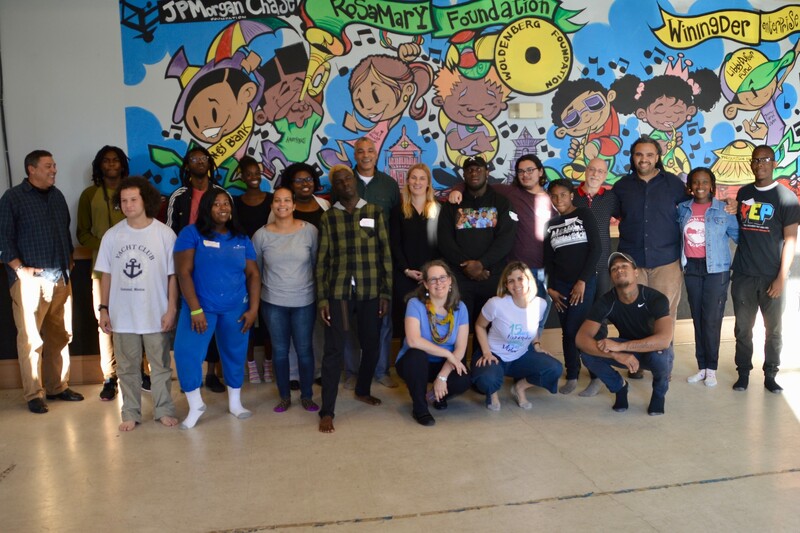 During their stay in New Orleans, Alves and Rede Program Director Tatiana Carvalho heard from YEP beneficiaries about the challenges facing the city’s youth, visited a juvenile detention facility, met with YEP employer-partners, and shared Rede’s movement-based training and lessons learned in forging win-win partnerships with companies. there is no separation, we are all humans. We need to use more of our heart and less of our mind. To demonstrate Rede’s embrace of non-cognitive learning, Alves and Carvalho led two bio-dance sessions. During one, YEP staff, youth, and volunteers engaged in a series of exercises, while the music of Enya, Bob Marley, and Sly and the Family Stone played in the background. At several points, participants formed a circle and held hands to demonstrate reciprocity and unity. To practice being fully present, they stomped their feet. In another activity, they walked across the room making eye contact with others to reinforce their self-esteem and build community. Incorporated into the session was an exercise that invited youth to reflect on their individual strengths and practice sharing those with the group. Such movement-based activities, with their focus on developing self-awareness, empathy, confidence, teamwork, and other life skills are now integral to Rede’s employability training. Eighteen-year-old Janasha Anne Williams came to the bio-dance sessions not knowing what to expect. “We got to know each other and communicate in new ways,” she said, adding that the music, in particular, made her feel relaxed and more open to learning and actively participating. “I’d love to do it again,” she concluded. Darren Aldridge, a YEP paraprofessional instructor and former beneficiary, agreed. “Half of our youth are learning how to carry themselves,” he said. “Some have been abused and neglected, making it hard for them to make eye contact.” For Aldridge, the Rede exercises focused on fostering connections among participants, were particularly valuable. We can place kids at a hundred jobs next year, but if they can’t resolve conflicts or don’t have a good self-concept, they’re going to have these challenges throughout life. Over the three years that Rede Cidadã has integrated movement, mindfulness, and activities that nurture self-knowledge into its approach, the results are promising—retention rates at its employer partners have increased by 15 percent. IYF is now working with both exchange partners to explore how they might adapt the movement-based techniques and other elements of Rede’s holistic approach to complement YEP’s widely-recognized education and employment readiness programming. Questions involving how to train and support staff and differences in how each organization delivers its services are all part of the discussion.